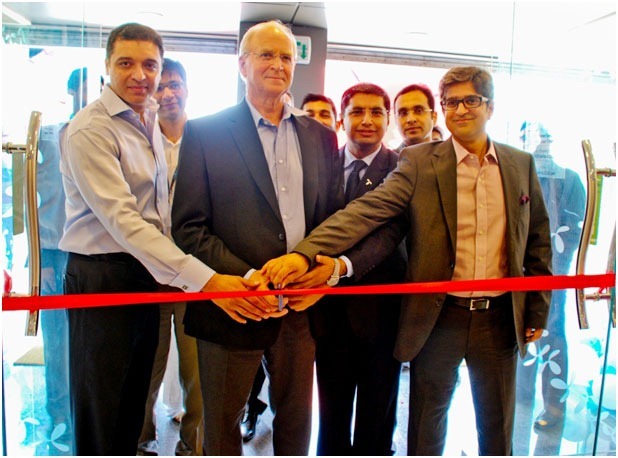 Christian Albech, CEO Telenor Pakistan (center) inaugurating the company’s newest Sales & Service Center at Blue Area on Monday. Aamir Ibrahim, CMO (right) and Adnan Hassan, Director Sales & Service Centers (left). The center will cater to customers living in Islamabad and adjoining areas. Prior to this, Telenor did not had a Sales & Service Center in Islamabad? Looks like Samir is building shops all over the place! I wonder what his motivation is ? Zil be ready for audit.